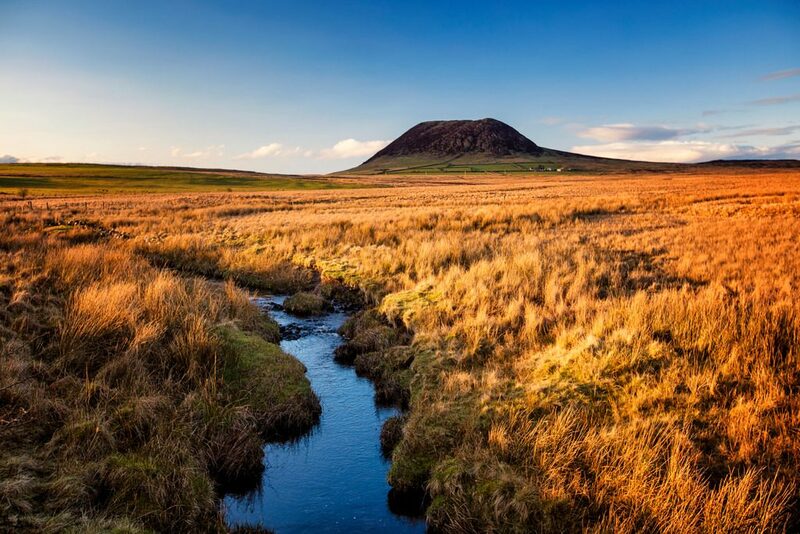 Rising from the surrounding landscape, the SLEMISH Mountain (437m) Loop Walk is a short but strenuous 1.5km (1 hr) hiking trail to the popular and iconic peak of Slemish Mountain located only 10km east of Ballymena in Co. Antrim, Northern Ireland. Take this scenic walking route with you on our free App for iPhone and Android and share your photos on the ActiveMe facebook page. Slemish Mountain (historically known as Slieve Mish like the mountains near Tralee in Co Kerry) is unique for two reasons, firstly is its natural beauty and rich natural heritage as the remains of the plug from an extinct volcano formed over 50 million years ago and secondly its rich heritage as the place where the St. Patrick was kept as a slave for 6 years from the age of 15 herding livestock for the local chieftain Mulchi at the foothills of Slemish Mountain. Taken from his home in Christian Roman Briton by Northern Irish pirate raiders in 406AD, the newly captured slave boy Patricius (Patrick), only 15 years of age was an upper class Briton from a family of Christian Deacons and Priests. He was dragged back to Northern Ireland as a slave, renamed Succoth by his captors and put working as a Shepard. After 6 years Patrick managed to escape and made his way to Gaul (most of Western Europe during Iron Age) where he trained as a priest, determined to return and convert his captors, a revolutionary idea back then. On his return Patrick spent the next 30 years converting the pagans of Irelands north east. It is clear that converting Ireland was not a one-man job as we have been told over the years. 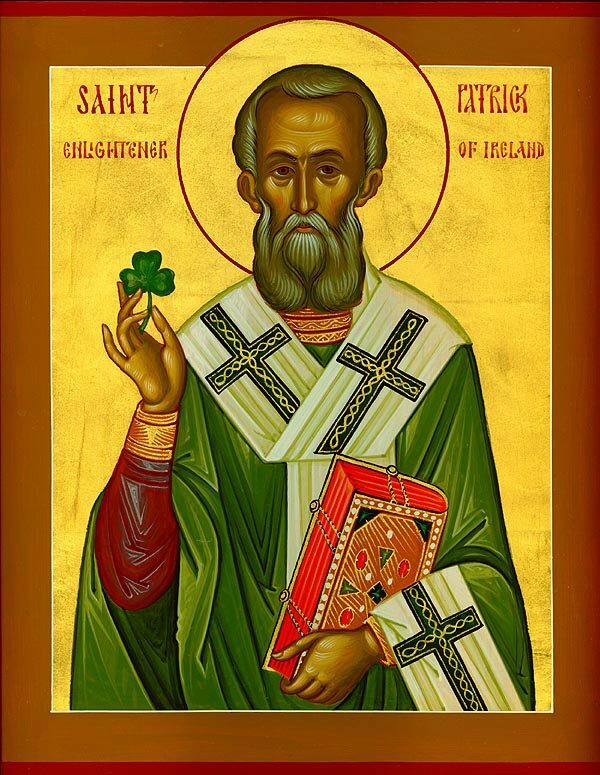 The main reason Patrick's missionary work has placed him as the Patron Saint of Ireland and converter of the entire island of Ireland is that remarkably, Patrick wrote two biography's and is the only slave from the ancient world to do so. Although Patrick wrote himself into history, it is thought that other saints were also converting people to Christianity in Ireland including St. Declan in Waterford, St. Ciaran and St. Auxilius and there was also the natural spread of Christianity along trading routes and travel between Britain and Ireland at the time. 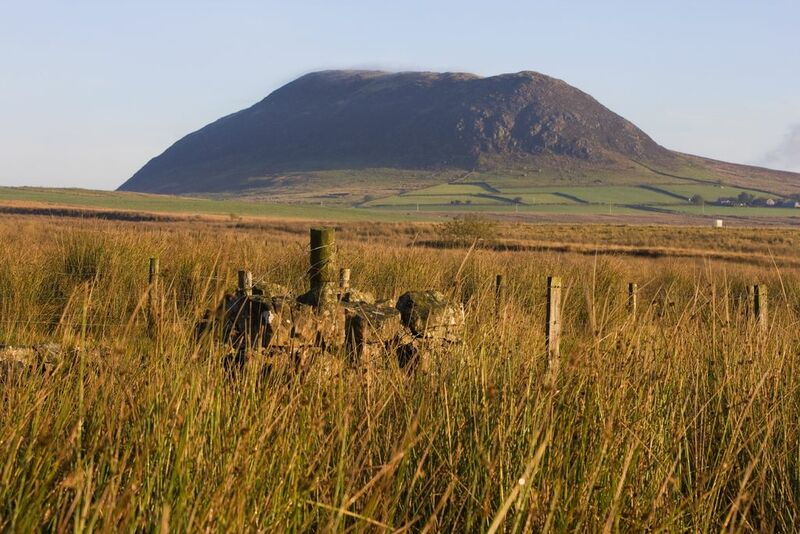 Well signed from the main Motorway and local roads, the Slemish Mountain Loop Walk begins at the car park about 20 minutes drive from Ballymena. The route begins along a grassy path, after which you can choose your own short but lung busting route to the summit at over 400m. Once you catch your breath at the summit, you are rewarded with great 360 degree views and as far as the Sperrins Mountains in Tyrone on a clear day. The descent is nice and easy on the southern slopes on Slemish where you can watch out for local flora and fauna in this remote part of Northern Ireland. Although an easy walk you should always plan any mountain adventure by checking the weather, sunrise sunset times and our hiking checklist on our website https://www.activeme.ie/useful-info/planning-a-trip/. Please remember that you are only as fast as the slowest member of your group! If the weather is poor don't be afraid to cancel your walk and do some other walk, maybe a low level walk. Use our Map of Ireland and Sat Nav tool to get directions to the start point and our detailed maps and GPS on our ActiveME iPhone App and Android App to find and follow the walking route live on screen and keep on track. At all times, our maps and App should only be used in conjunction with proper map and compass navigation techniques.